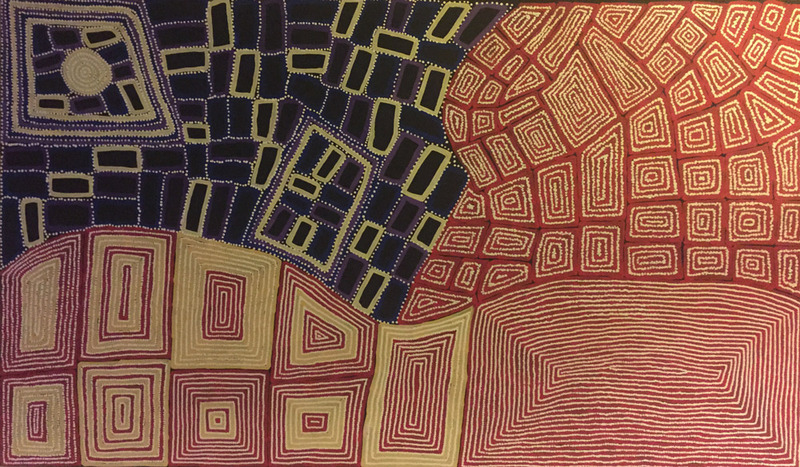 The current Ultimate Art exhibition focuses on Collaborative pieces using traditional and modernised Indigenous art techniques. 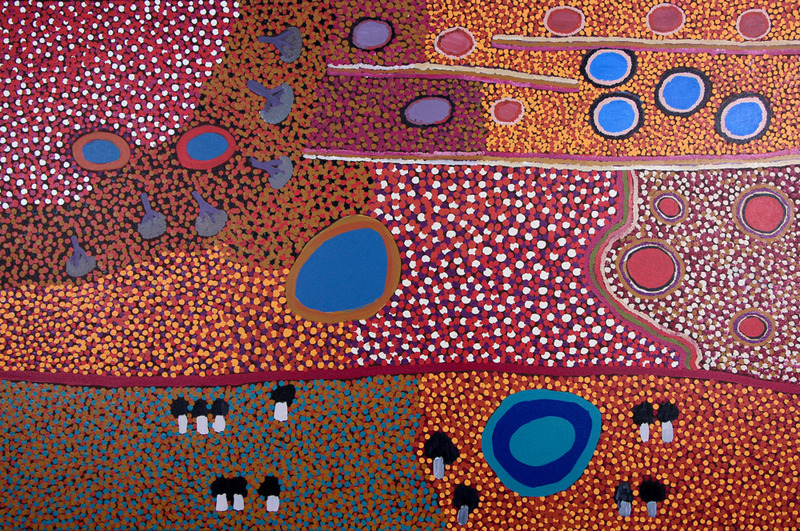 Each artwork is a representation of a dream passed on from generation to generation by community elders. 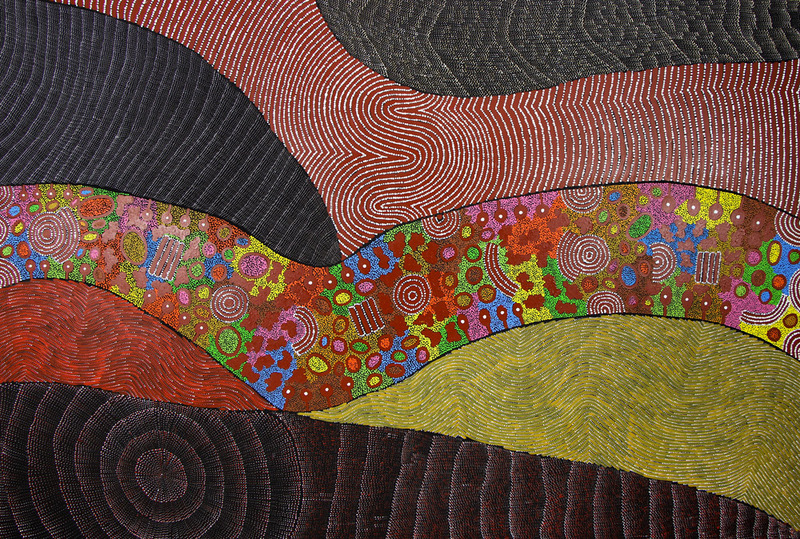 Collaborative pieces created by the Kelly family in particular incorporate three generations of artists. The designs they use have been passed down for many generations, and only the Kelly Family owners can paint them. Each woman is permitted to bring her own style to the painting of the design. 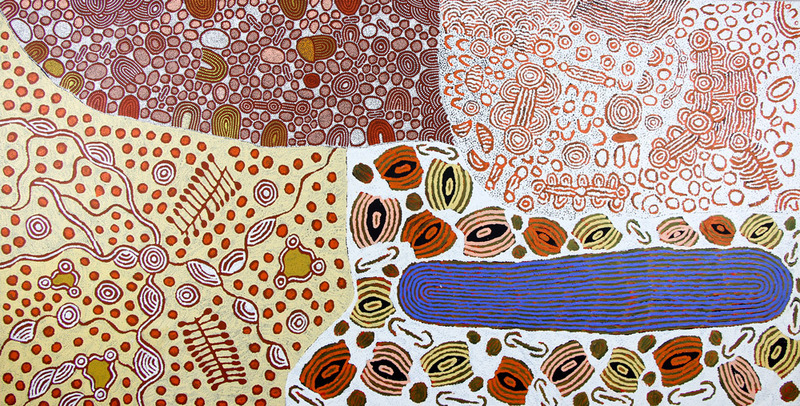 Four Collaborative Pieces were part of the Papunya Tula “Genesis and Genius” Exhibition held at the Art Gallery NSW as part of the 2000 Sydney Olympics’ . 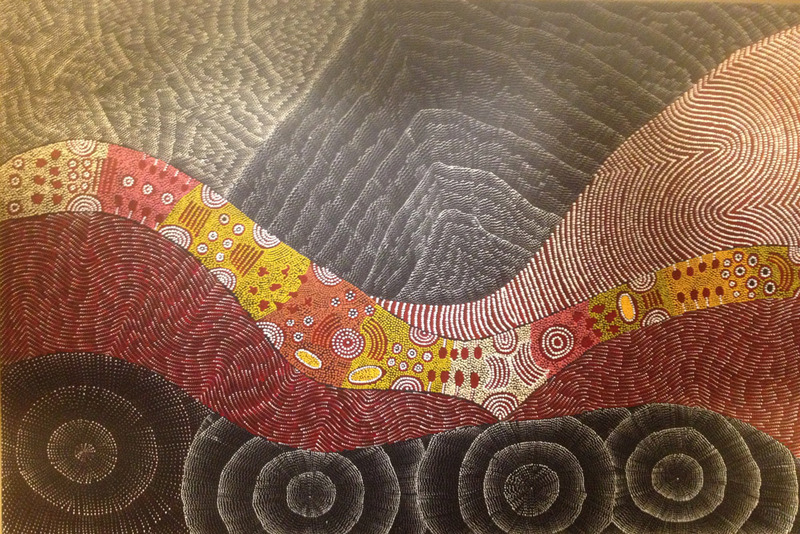 Ultimate Art Four Seasons now have a Collaborative wall containing Three Collaborative pieces for the 2016 Olympics book a private art tour and discover more at Ultimate Art Four Seasons Hotel Gallery’s Collaborative Wall purely dedicated to Aboriginal Collaborative Paintings ‘communities.